The stone plinth is 8½" by 16¼" and the monument is 4" deep by 12" wide. The entire installation is about 16" tall. 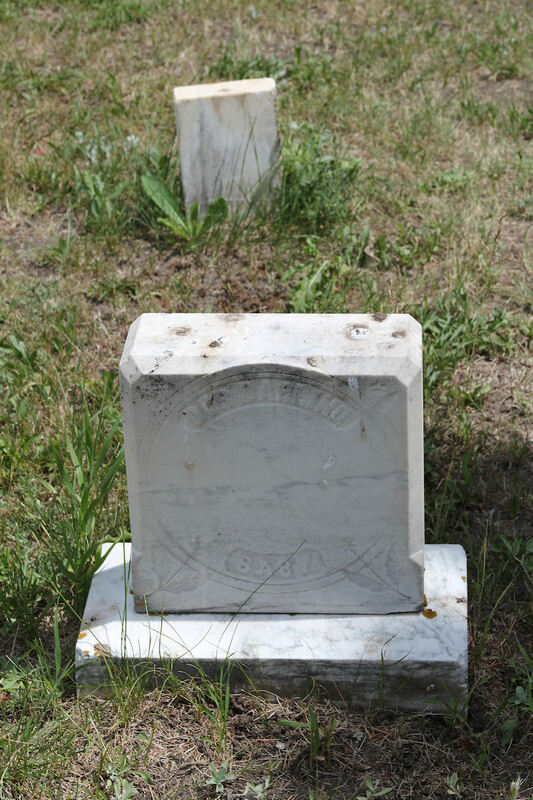 The uninscribed footstone is 2" deep by 6" wide and is 8" high. This is probably a child of Marion E. Baker.